Get ready to meet Jackie Kennedy at her husband's inauguration ball! 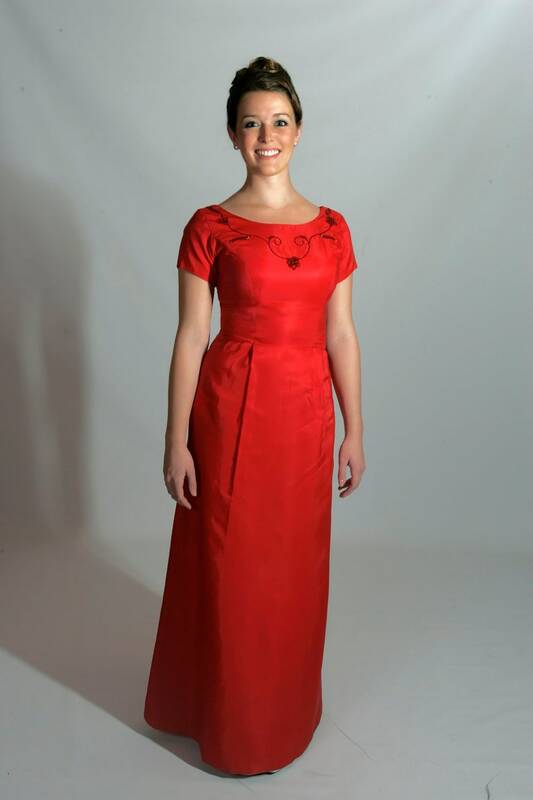 Bright and lucky red perfect for your formal occasion, either vintage style or modern. This dress is in beautiful condition, with a metal zipper and delightful bows placed just right. This is a well-made dress, perhaps an acetate. It is sturdy fabric and I found no flaws. Need dry cleaning. Model stands 5'6" and is wearing 2" heels. She is a size 2 to 4 with a 26" waist. The dress is just slightly tight around her waist.